A digital passport size visa picture (please dress formal/professional). $150 application fee (non-refundable) payable to: Marshall University Research Corporation. Health exam and criminal record check will be required after the acceptance in order to obtain your work permit in China. For Go Green paperless application, we accept your digital application documents. Please follow our guidelines for E-file your application materials. After we’ve received your application $150 application fee and reviewed your completed online application, resume, reference letters, 500 word essay, college transcripts, copy of diploma and copy of passport picture page, we will send you a letter notifying you of your acceptance if all requirements are met satisfactorily. You will then be required to pay a total of $1,050 program administration and placement fee in two payments. The first payment of $550 is due within 2 weeks after you are accepted into the program. Placement of your teaching position starts soon after your first program fee is paid. You will receive two to three placement options. We will do our best to match your needs and preferences with those of the Chinese host school. After your teaching placement is confirmed, you will sign an employment contract for a 10-month period beginning September 1st of 2019 and ending June 30 of 2020 with the Chinese host school. The second payment of $500 is due by Friday May 15th, 2019. As an Appalachians Abroad Teach in China participant, you will be required to attend a 4-5 day Orientation program in late August that takes place in Shanghai, China. 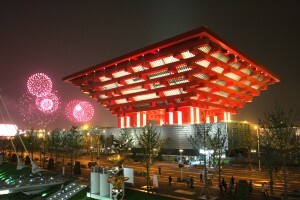 There is no extra cost for the orientation program in Shanghai. Marshall University will assist you with obtaining your work visa to China and travel arrangements. We will continue to maintain contact with you during your stay in China and serve as your advocate.